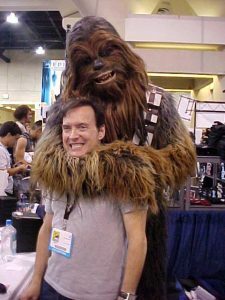 Billy West is the multi-talented voice actor who has voiced countless cartoons, films and commercials. His list of credits include honoring the late Mel Blanc as the voice of Bugs Bunny and pals in “Space Jam,” as well as hit shows, including “Doug,” “Futurama” and “Ren and Stimpy.” Billy was a fixture on the Howard Stern Show for many years making us all laugh with his dead-on impressions of Larry Fine, Marge Schott and George Takei. He’s one of the most in-demand voice actors in the nation.